Twelvemo, viii, 209pp. 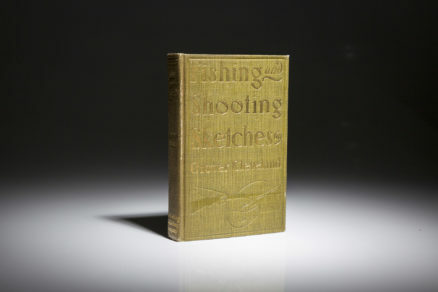 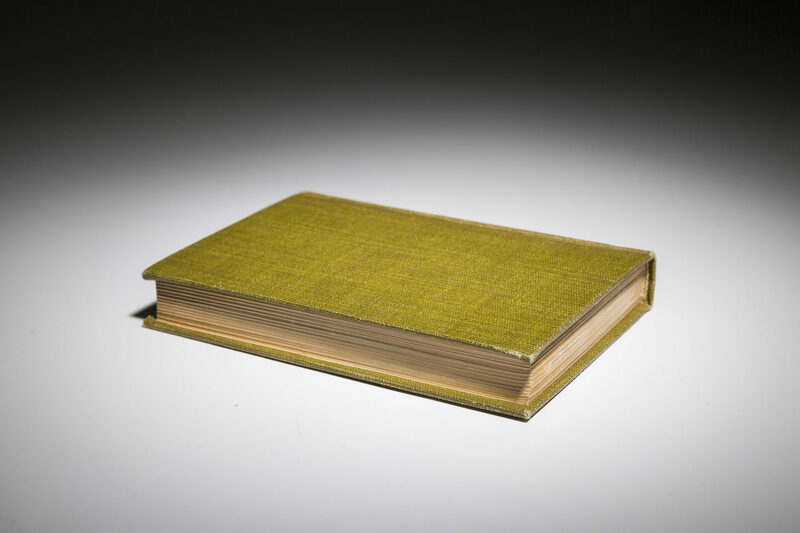 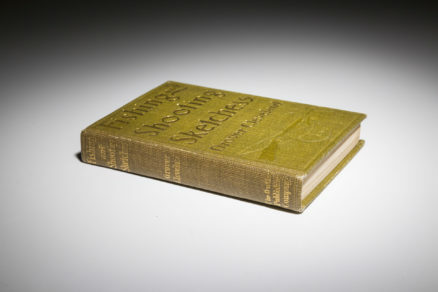 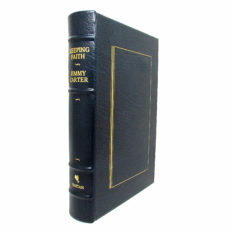 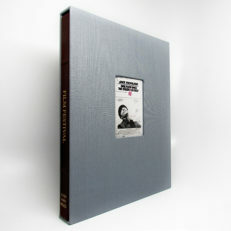 Green cloth, title in gilt on spine and front panel, embossed illustration on front panel. 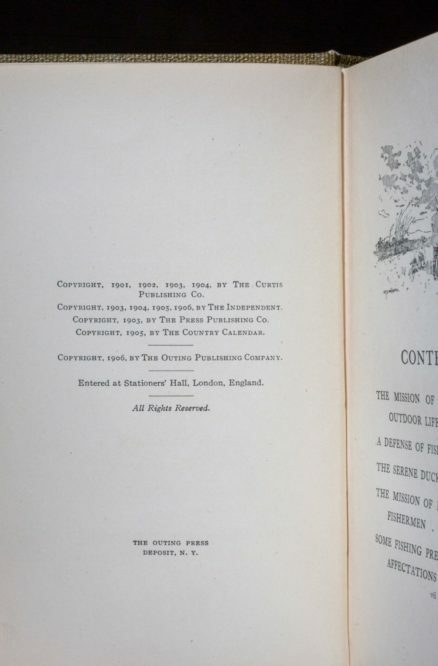 Frontispiece portrait of former President Cleveland opposite title page, with tissue cover. 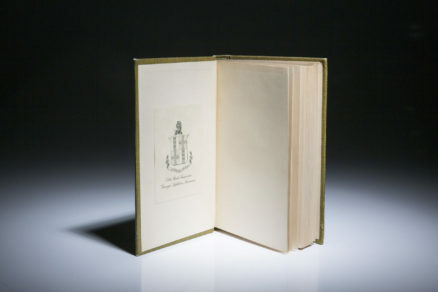 Bookplate of former owner affixed to front endpaper. Multiple illustrations by Henry S. Watson. 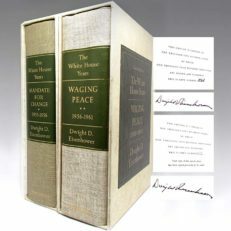 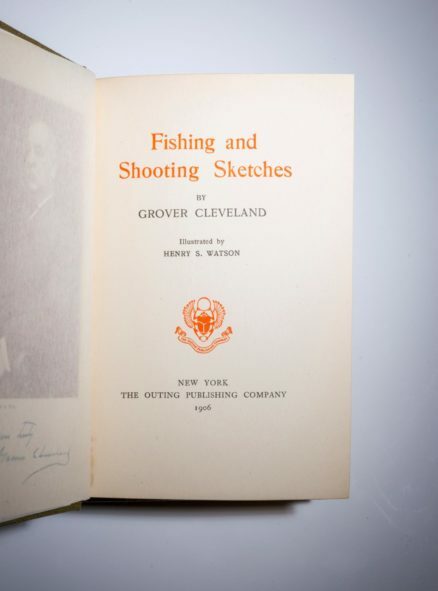 Inscribed by President Grover Cleveland on half title, with inscription dated “Dec 1906.” Scarce signed copy of this book in exceptional condition. 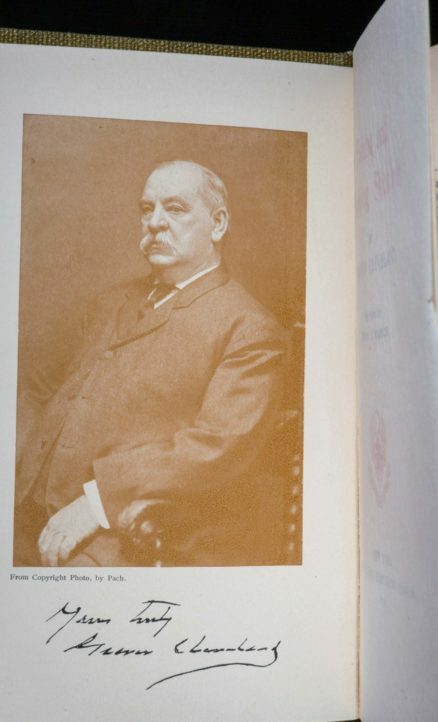 Comments: Grover Cleveland began his unlikely rise to the presidency as the Mayor of Buffalo. 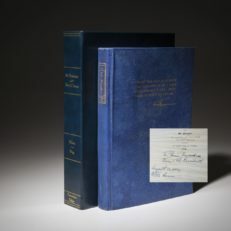 Within two years of taking office, he would be nominated for the governorship of New York. 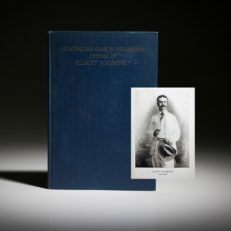 He would gain national notoriety for fighting political corruption, specifically Tammany Hall in New York City. 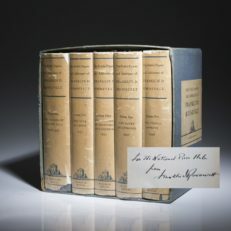 President Cleveland would go on to serve the only non-consecutive presidential terms in history, serving from 1885-1889, then again from 1893-1897. 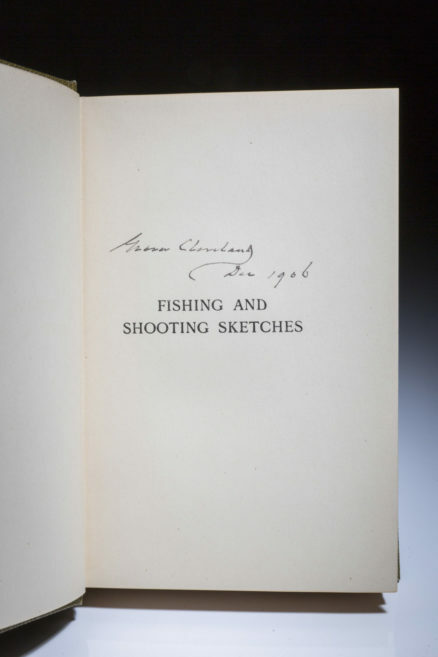 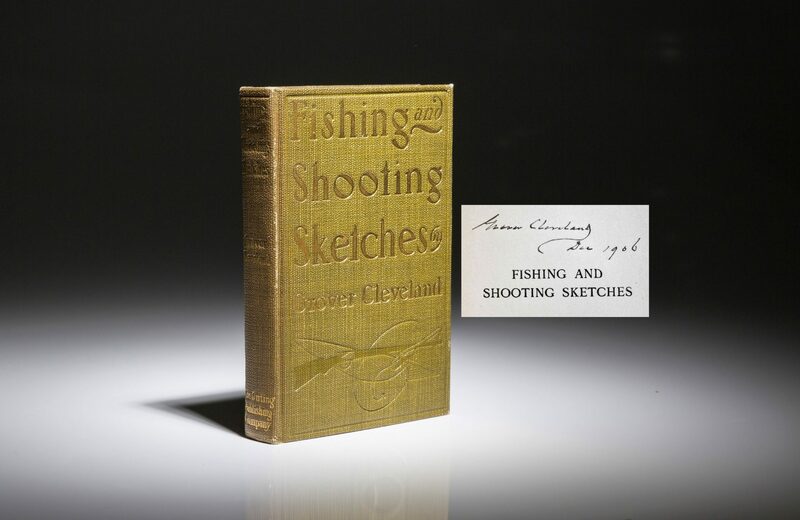 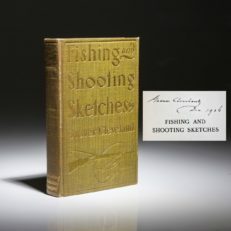 After leaving office, the former president indulged his lifelong passion for sports, ultimately writing this humorous book, Fishing and Shooting Sketches, two years before his death.